Make Your Appointment with the Dentist Today! 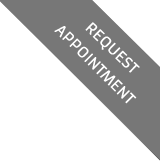 To request appointment availability, please fill out the form below. Our scheduling coordinator will contact you to confirm your appointment or call 781-665-1552. New patients remember to download and fill out your New Patient Form ahead of time!